This 6-Plex project, affectionately being called, 13th Ave Micro-Townhomes, is laid out on a spacious, Montclair neighborhood corner lot. 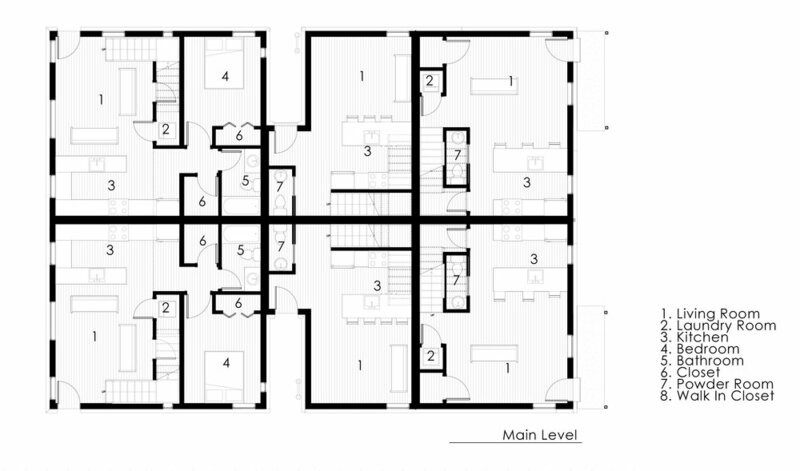 Offering two street frontages, it was important to properly address both fronts with the townhouse projects architecture. 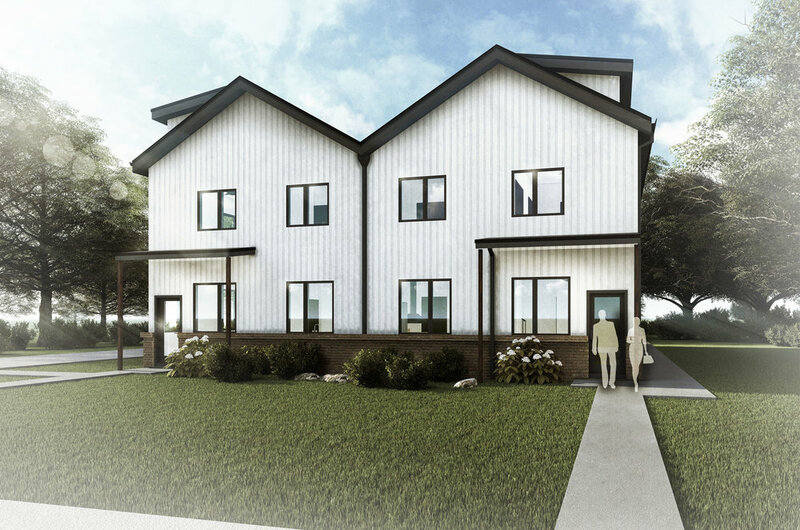 Our developer clients came to us, looking to bring density and affordability to a neighborhood dominated by expensive single family homes, which often price young families, or new buyers out of these central Denver neighborhoods. While zoning would have allowed for a 3rd story, and A-typical of the Denver developer mentality, an architecture of just 2 stories was chosen, vs the 3 typical of this zone lot. Our clients chose to keep these units small, but functional and chose to stay away from maximizing the square footage, and mass otherwise prevalent in this type of development. 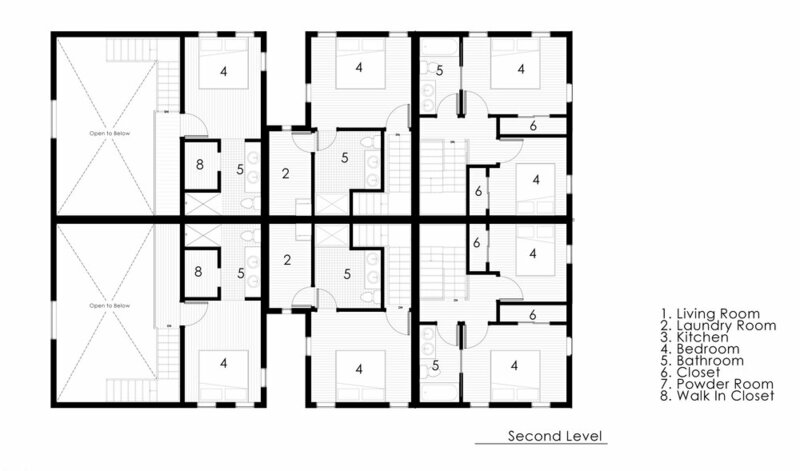 Ranging in square footage, these 2-story, "micro-townhomes" range between 702 and 892 SF, across 3 unit types, mirrored across an east-west axis. 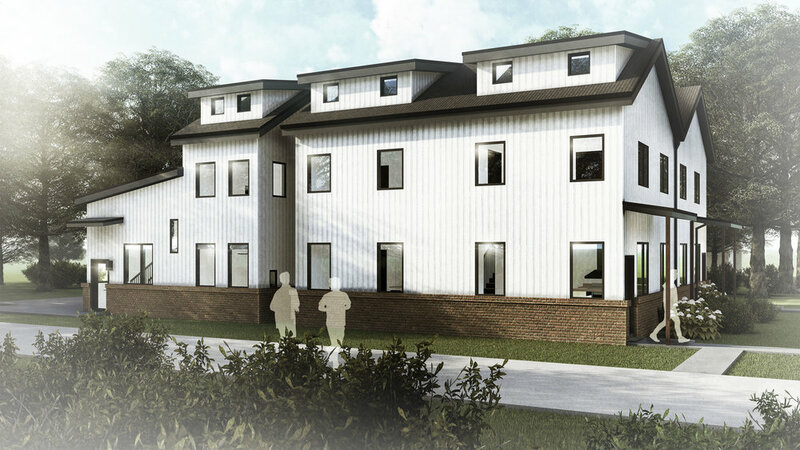 This project is currently working its way through the Site Development Plan phase, and is into engineering in preparation for a building permit submittal. We look forward to an early winter groundbreaking, and supporting our clients through construction of this new and exciting project!